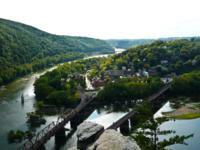 The first time I visited Harpers Ferry, I was struck by the quaintness of the town and dramatic surrounding landscape. 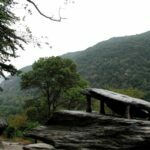 I soon discovered this peacefulness belies the underlying conflict and change that characterized this site for much of its history. 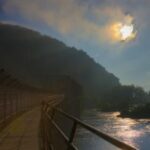 Many pivotal events in American History define Harpers Ferry: the mass production of weapons, John Brown's Raid, the largest surrender of Federal troops during the Civil War, one of the earliest integrated schools in America, and the NAACP Niagara Movement. 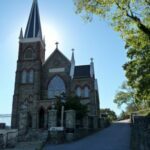 Every time I visit I discover something new. 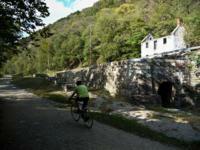 I know that you too will find much to experience where the C&O Canal and Harpers Ferry converge. 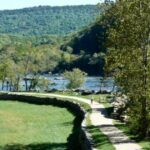 In 1799, the first federal armory was built at Harpers Ferry. 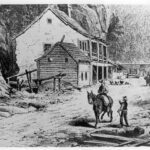 By 1840 the United States Armory and Arsenal changed from a craft-based production to manufacture by machine. 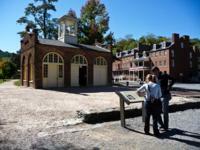 Over 600,000 muskets, rifles, and pistols were made here, making the armory a strategic target during the Civil War. 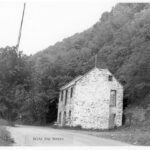 The armory was abolitionist John Browns target on the night of October 16, 1859, when he and his "army of liberation" marched down the C&O Canal towpath. 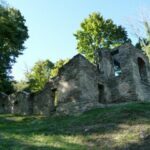 His goal - to start a slave rebellion. 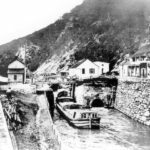 Aided by Lockkeeper John Cook at Lock 33, Brown's crew crossed the railroad bridge into Harpers Ferry and stormed the armory. 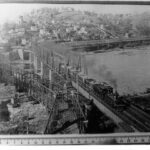 Thirty-six hours later Brown's vision was crushed as he and his followers were captured in the armory fire engine house when US Army Marines led by Col. Robert E. Lee stormed the building. 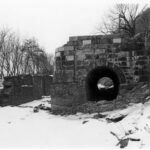 Brown's subsequent trial and execution focused the nation's attention on the moral issue of slavery and headed the country toward civil war. 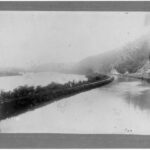 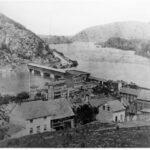 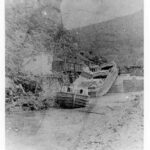 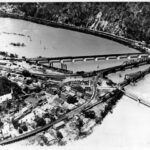 During the Civil War, Union and Confederate troops moved through Harpers Ferry frequently with the town changing hands eight times between 1861 and 1865. 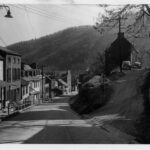 Following the Civil War, New England Freewill Baptist missionaries acquired several vacant buildings in town. 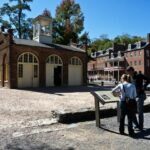 These buildings became Storer College, an integrated school designed to educate former slaves but open to students of all races and genders. 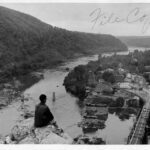 To combat the injustices of legal segregation the second conference of the Niagara Movement (the forerunner of the NAACP) was held on the campus in 1906. 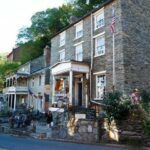 Today, a visit to Harpers Ferry provides many opportunities to explore three National Park sites; the Appalachian Trail, Harpers Ferry National Historical Park, and C&O Canal National Historical Park. 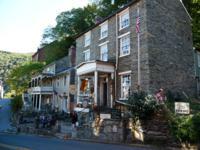 Harpers Ferry's has many eateries, from fine dining to a quick snack. 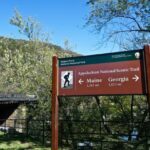 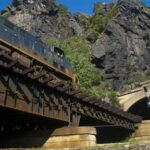 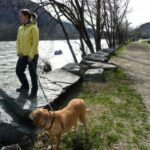 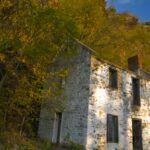 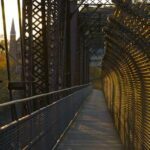 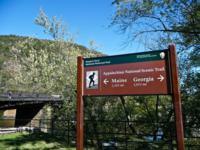 There are many opportunities to hike in the Harpers Ferry area. 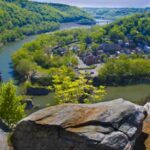 My two favorites are the hike along the Appalachian Trail up through town to the Jefferson Rock to take in the magnificent view of the convergence of the Potomac and Shenandoah Rivers, and the hike up to Maryland Heights which provides amazing views of the rivers and town. 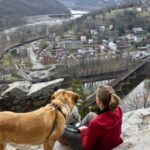 For nature lovers, there are over 170 bird species and more than 30 mammals in the Harpers Ferry area to discover. 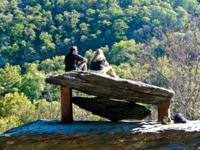 Whatever your passion - history, hiking, pleasure, or nature - you're sure to find it here.